how fast do they go? 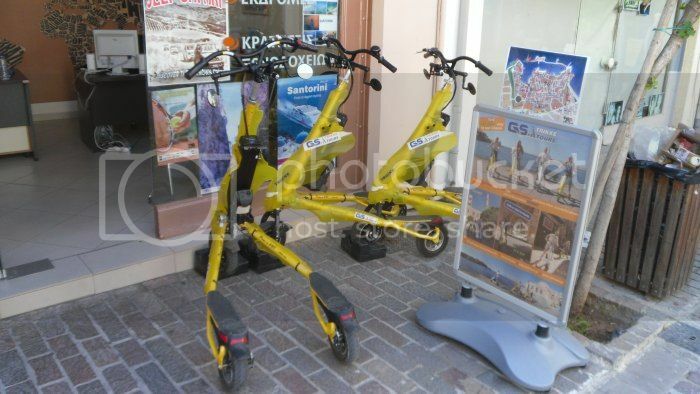 And are they streetlegal in most countries? – Foldable lightweight robust frame built with aircraft grade aluminum AL6061 – Fully adjustable handlebars – Dual disc brakes with parking lock – Aluminum rims with Abec5 sealed bearings and 10″ front 8.5″ rear Trikke fitness tires – 180W brushless free-wheel hub motor (300W peak power) – 36V-9AhPanasonic lithium-ion quick-swap battery – 41lbs with battery – 35lbs w/out battery – 13mph (21km/h) max speed – motor only – 18-miles (29k) range - Econo mode – 10miles – (16km) range – Express mode – 2.5h recharge time in the netherlands its not legal since it can run without peddalling + there is a wattage limit of 250W. "Although not many Dutch police men are aware off it, driving a original C5 without a so-called PAM device in the Netherlands is only legal with an insurance-plate. The PAM device allows the engine to run, only during pedaling. This makes it officially a pedelac, hence insurance free. An E-Bike, a bike where you have the choice, to pedal or drive electric up to max 25 km's is permitted only with a insurance plate. Since I use my C5 on a daily basis, i tried to get it insured. As a E-bike, as a Pedelac. I failed miserably. No insurance-company knows the Sinclair as a bike, nor as an electric vehicle since it was never officially declared roadlegal in the Netherlands by the RDW. Now I insured my C5 as a scoot-mobile at the ANWB. I found no problem what so ever to get it insured. You have to give the serial number of your Sinclair and that's it. Knowing this is quite a issue for some off the Dutch riders I thought I share this with you." This device just got legal a few weeks ago in the netherlands! spotted the first one in the wild today next to a police officer.